Our high hospitality standards and dedication to excellence has been repeatedly recognized by our consumers, by conferring us with multiple accolades. We proudly celebrate the receipt of the Arab region’s ‘only’ 100% consumer-driven ‘Service Hero Award’ for several consecutive years. Service Hero announces annual customer satisfaction winners based on the results of the Service Hero Index. 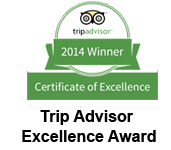 Barakat Foods have also received the esteemed ‘Trip Advisor Certificate of Excellence’. Based on the feedback of our hundreds of returning and new customers, Mais Alghanim has proudly received the ‘Trip Advisor Certificate of Excellence 2014’. This certificate is reflective of Barakat Foods’ commitment to hospitality excellence. Mais Alghanim secured ‘First place’ in the ‘Casual dining’ category of the Service Hero Awards for 4 consecutive years (2010 to 2013). 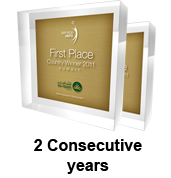 Mais Alghanim secured ‘First Place’ in the ‘Country Winners’ category of the Service Hero Awards in 2011 and 2013 and ‘Second’ and ‘Third’ Place in the same category in 2010 and 2012. Barakat Foods is a food service and hospitality company based in Kuwait that delivers unique food and beverage experiences. All rights reserved 2019 © Barakat Foods Kuwait.